The State of Zacatecas is located in the heart of Mexico and its name originates from the Nahuatl language which describes a “place where grass is abundant”. The world zacatl means “grass” and tecatl means “place of”. The state is rich in natural resources and once produced the highest yield of silver worldwide. The largest mine, El Bote is still operating after 200 years. 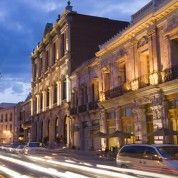 A couple of historic buildings have been converted into small boutique, luxury hotels in downtown Zacatecas. 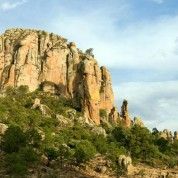 Zacatecas has extraordinary landscapes with plateaus and canyons. Vast ranches raise cattle, grain and produce making for a successful agricultural industry. The proverbial cowboy or “ranchero” is a common sight on the horizon as well as in its smaller towns. 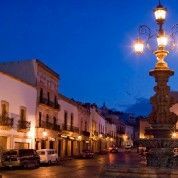 In its populated centers, beautiful colonial buildings give it a very Spanish feel and the scenes of men on horseback riding through town in full regalia are often paradoxical and always charming. 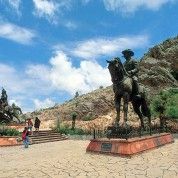 The settlement now known as the capital city of Zacatecas, is built in a ravine on the slopes of the Cerro de la Bufa, a rock-crowned hill of over 8,000 feet in altitude. 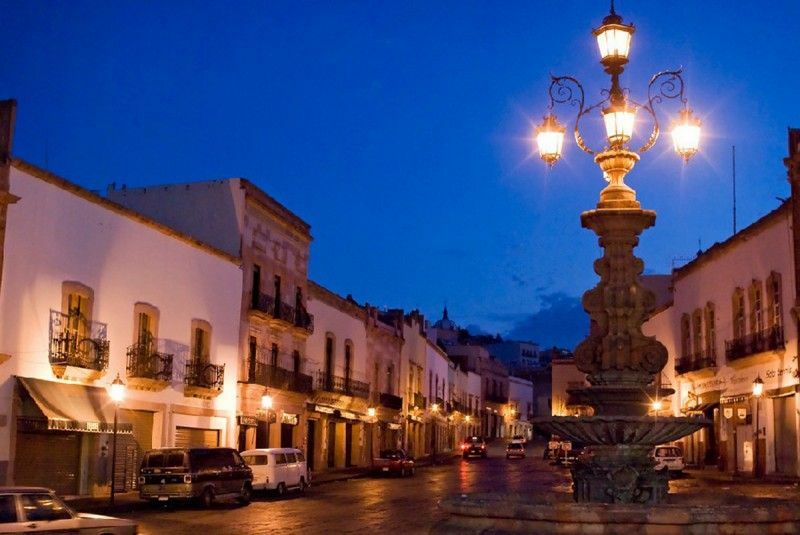 It was taken by the Spaniards in 1548 and named “the Very Noble and Loyal City of the Zacatecas” for the vast quantities of silver it produced to the pleasure of Spain. Is the heart of all this cultural richness that is the result of 453 years of tradition and one of the finest examples of colonial architectural beauty. 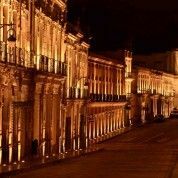 While having such tradtional roots, Zacatecas is quite cosmopolitan, perhaps European in attitude. This makes for rewarding dining, shopping and nightlife experiences. Its thriving restaurant scene goes from traditional settings and cuisine to more hip and contemporary spots. The same goes for nightlife and even street performances in the public squares reveal a certain worldly influence at times. 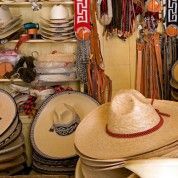 Shopping is pleasingly cosmopolitan and visitors will enjoy the blend of sophisticated shops bearing handsome products of interesting design next to more traditional "tiendas" spilling over with the area´s handicrafts. Zacatecans are talented artists and craftsmen, offering the visitor a vast array of wood articles, leather, textiles and are particularly reputed for their jewelry and semiprecious stones. The Baroque style Cathedral, built between 1612 and 1752 is notable for its exterior explosion of extravagant ornamentation carved from pink sandstone. The Gonzalez Ortega Market, which nowadays is a commercial center with restaurants, handicraft shops, etc. The Universo de Pedro Coronel Museum, houses an outstanding private collection of noted Zacatecan artist and sculptor Pedro Coronel which include works by Picasso, Dalí, Miró and Chagall. The namesake´s tomb, his own works, a vast collection of colonial-era Zacatecan artists, pre-Columbian pieces and international are also exhibited. Rafael Coronel Museum in the San Francisco Convent has a splendid collection of more than 5,000 masks-an excellent representation of this craft, its cultural significance and diverse styles and uses from all regions of Mexico. The Enrique Estrada Park, where you can see an amazing aqueduct built in the XVIII century. The Zacatecas Tramway (Teleférico Zacatecas) connects the 2,100 foot span between the hills "Cerro La Bufa" (which is considered a symbol of the City) and El Grillo for a great view over the city. On La Bufa is the meteorological observatory and La Toma de Zacatecas Museum. The Eden Mine first operated in the 16th century. 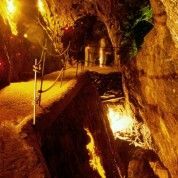 A small train takes visitors though its 1,950 long tunnel and a guided tour then continues through other tunnels where one can learn of the harsh living conditions of the original miners. Guadalupe Convent, about 7 km. (4 mi.) southeast of the city. This baroque church and former monastery, dating from 1707, once housed Franciscan monks who spread Christianity throughout the vast reaches of northern Mexico. It now houses the Museo de Arte Virreinal (Museum of Viceregal Art) containing 18th-century Miguel Cabrera paintings of the Guadalupe, colonial religious art and portraits which line endless corridors which link rows of cells where the monks spent their time when not travelling. The Chicomostoc Ruins, about 56 km. (35 mi.) southwest. A partially restored archaeological site, one can see evidence of narrow streets and foundations of homes and temples of the Náhuatalac Indians who settled the valley around 1170. 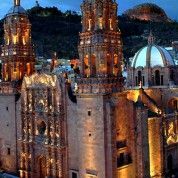 Founded in 1546 after the discovery of a rich silver lode, Zacatecas reached the height of its prosperity in the 16th and 17th centuries. Built on the steep slopes of a narrow valley, the town has breathtaking views and many old buildings, both religious and civil. The cathedral, built between 1730 and 1760, dominates the center of the town. It is notable for its harmonious design and the Baroque profusion of its facades, where European and indigenous decorative elements are found side by side. 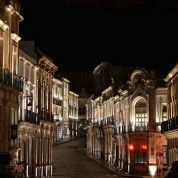 You can comfortable walk the historic Center, however, if you desire to really have all the information and experience the magic of history, request an english spoken guide who will walk with you and also will show you the surrounding areas. 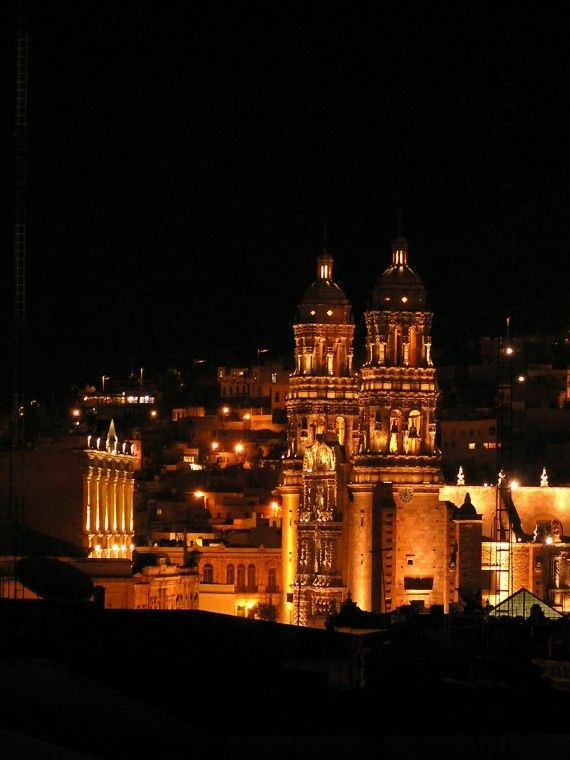 The Fair of Zacatecas, which is celebrated during the second week of September. The Morisma Fair, in Bracho Hill: A performance of the historical battle between Moors and Christians, celebrated during the last three days of August. The wealth generated from the area´s mines is evident in the elaborate mansions, beautiful churches and museums. Indeed, these attributes, along with historic infrastructure such as its aqueduct, garnered this city a UNESCO designation as a "World Cultural Heritage" in 1993. The city center is easily explored on foot and public transport and taxis make access to its other quarters quite easy.